I'm not sure about this picture though i feel like kagome looks like a zombie haha but there's just something about it i like and i hope you guys like it too!! I had favored this drawing awhile back but never left a comment...I just love this piece. It is one of my favorites and plus I love your work. I hope you didn't give up on this site. Zombie, no. I'd say she's more transfixed. And who wouldn't be in her shoes?! Fine work. OMG I love how you posed them and their expressions! I am speechless as to how AMAZING this is. You are truly an amazing artist! 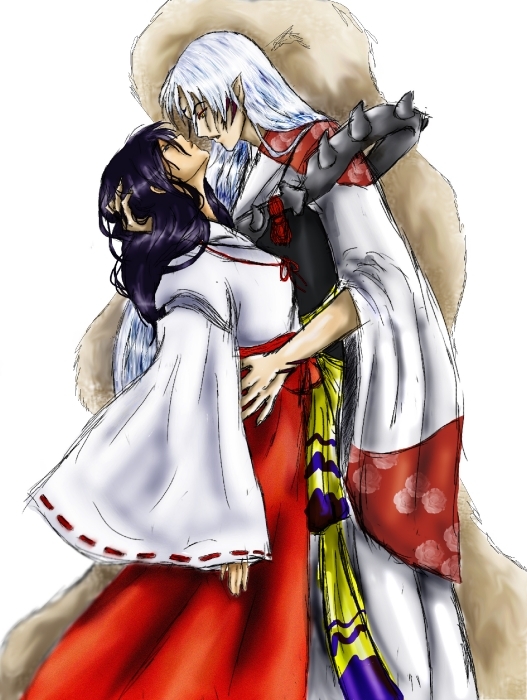 i love it1 they look good together and kagome looks pretty!